Welcome back! We hope you are enjoying a wonderful start to your school year! Are your students interested in additional music opportunities? Our introductory choir sessions begin soon! This program provides our youngest singers, ages 7-10, with the opportunity to learn vocal technique, music theory, and rehearsal skills all in a highly active and engaging educational environment. Our introductory choir program is designed to meet the needs of ALL students, both beginning and experienced musicians. We strive to use music as a pathway to positive self-expression and feel strongly that the benefits of singing in a choir reach far beyond the classroom and the concert hall. Our fall sessions of introductory choir begin on Sunday, September 25 and Tuesday, September 27. Registration is open on our website under the Join a Choir tab. Students with financial need are supported through our scholarship program and are encouraged to complete the tuition assistance application at the time of registration. MYC is joining the global arts community in celebrating the 400th anniversary of Shakespeare's death. 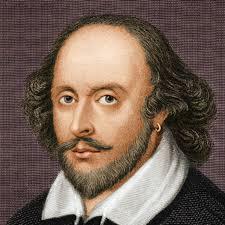 Our singers will study a wide array of musical settings of Shakespeare's words as well as works by composers of the Elizabethan Era who would have been familiar to Shakespeare, including William Byrd and Thomas Morley. We strive to answer the question: How do ideas and artworks remain relevant over time? Our MYC singers look forward to sharing their music with thousands of students and senior citizens each year in a series of school and community outreach tours at a variety of locations throughout Dane County. All nine of our performing choirs will embark on a daylong concert tour next spring, presenting free concerts at over 25 schools, retirement homes and community venues. We hope you will consider hosting one of our choirs. Stay tuned for more information! We would love to lend it to you! MYC has an extensive choral library. If you are looking for a piece of music, let us know. If we have it and it's not being used, we would be happy to let you borrow it for your classroom or choir. Save the date! The 7th Annual Madison Boychoir Festival will take place on Saturday, January 28, 2017. Registration will begin in late October. Discounted tickets for teachers are available.